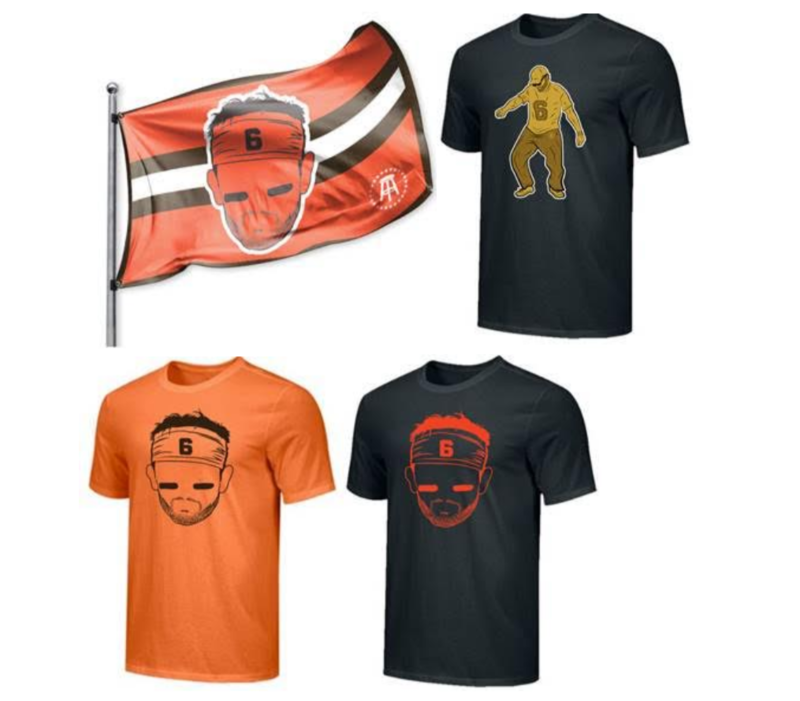 Cleveland Browns rookie quarterback Baker Mayfield is teaming up with Barstool Sports to design a rotating line of merchandise featuring his likeness that will be sold on the Barstool store. The kicker is that 100% of proceeds from all such sales will be donated to Special Olympics Ohio. The new deal between Mayfield and Barstool officially begins today and will exist for exactly one year. Barstool promises to promote the products throughout the term. Barstool Sports had been selling Mayfield-related apparel, including a t-shirt with the phrase “The Bake Show,” on its website prior to the announcement of a new charitable partnership with the quarterback. Mayfield also appeared on a Barstool Sports pizza review for Dulono’s Pizza in Minneapolis, Minnesota. It is safe to say that the Mayfield/Barstool bromance is expanding by the day.